Is the original still available? "Wetterstein Mountains - Germany" by Paul McGehee. A beautiful and colorful early painting by the artist, painted at the age of 11. Located along the border of Germany and Austria, the grouping known as the Wetterstein Mountains features the tallest peak in Germany, the Zugspitze which towers over the rest at 5,728' in height...over a mile tall. The magnificent mountains overlook the picturesque village of Garmisch-Partenkirchen in Bavaria. 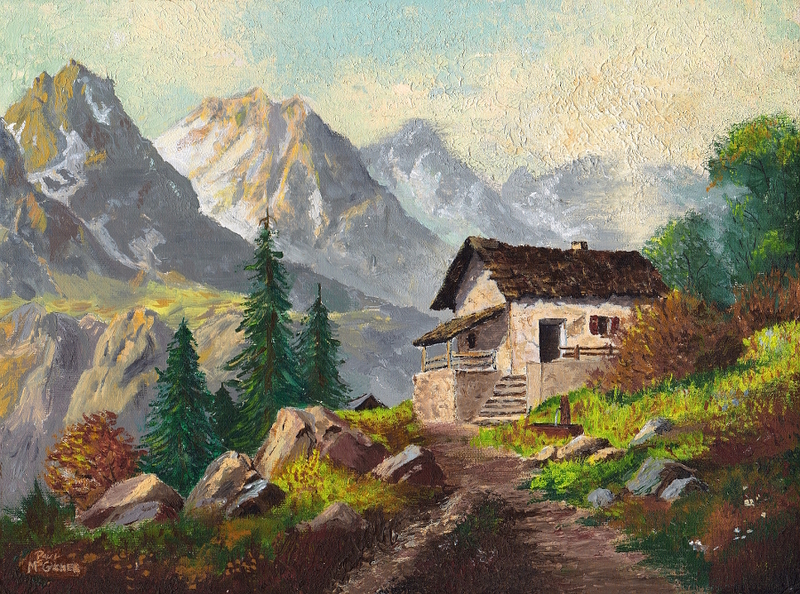 "Wetterstein Mountains - Germany" is faithfully reproduced from Paul's original acrylic painting in a limited edition of 2,000 hand-signed prints.